A payment reminder letter is the most decent way to make somebody realise about his commitment. 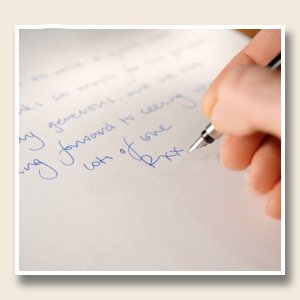 You may find yourself in a situation where you are writing a payment reminder letter. Even the closest relatives, best friends or trusted customers can be your addressee as hardly few in this world are so responsible that they will keep their promise and won’t make you suffer. The language of this letter completely depends on the situation for example if it is your first reminder then it will be friendly, and it will become an ultimate reminder if it is third or fourth letter. If you want to know how to write a payment reminder letter, simply scroll down and read through the template and sample. Our record shows that you were supposed to submit an amount of $475 on your due date which was about three weeks ago. Our recovery department has been trying to contact you but unfortunately it did not prove helpful. That is why we are posting this letter as a reminder so that you make it a note and pay your due amount well in time. If you have already cleared your debts then please ignore this notice. If you have not paid that amount then we advise you to follow the procedure as your first priority. This is to remind you that you owe [put the exact amount] and it was supposed to be paid on [write the due date]. You have been out of touch for long and all the efforts to contact you proved wasted. This situation resulted into this payment reminder letter and you are requested to pay attention to this notice as early as possible.